Angela Cannings was charged with murder directly after she and her husband Terry lost their third infant in ten years. She was convicted because of a medical theory that came to be known as ‘ Meadow’s Law’, which stated that ‘one sudden infant death is a tragedy, two is suspicious and three is murder until proved otherwise.’ Angela spent almost two years in prison and, at one point, found herself beside Rose West. A fellow inmate scarred her with hot coffee. Angela began to lose all hope, but a cellmate, Rose, helped her refocus on what was important – being reunited with her husband and their daughter Jade. In 2004 she was released unconditionally. 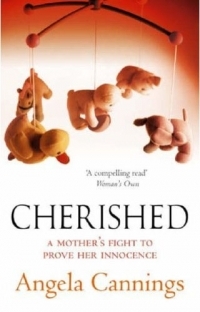 Cherished is the remarkable story of a woman who has shown real endurance under extraordinary circumstances.